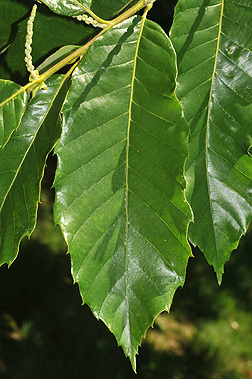 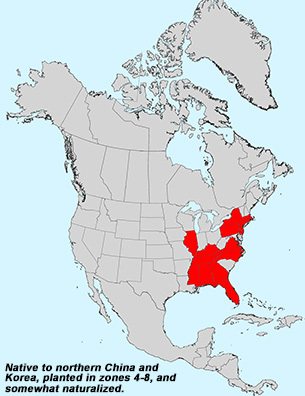 Leaf:Alternate, simple, pinnately veined, oblong, 5 to 8 inches long, coarsely serrated (but not as strongly toothed as American chestnut), shiny green above and paler and fuzzy below. 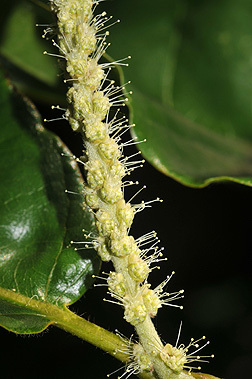 Flower:Species is monoecious; male flowers are small and white, borne in long (4 to 5 inches) slender catkins, very fragrant; female flowers are borne on short aments, 1/2 to 3/4 inch long, appearing in early summer. 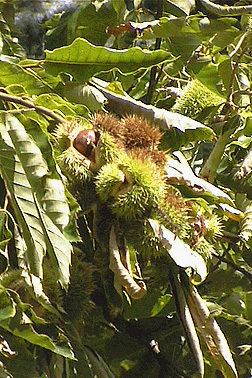 Fruit:Large spiny (very sharp) bur 2 to 3 inches in diameter, each contains 2 to 3 edible nuts, 1 to 1 1/4 inches in diameter, shiny brown, typically flattened on 1 to 2 sides, ripen in late summer. 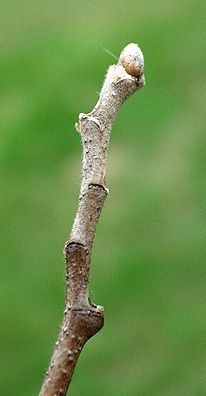 Twig:Moderately stout, tan to olive-brown with prominent lenticels, gray fuzzy; buds are gray-brown and pubescent, offset from leaf scar, covered with 2 to 3 overlapping scales. 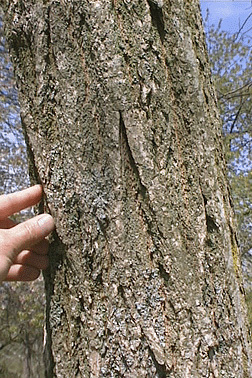 Bark:Gray-brown to brown, furrowed, but without distinguishable patterns. 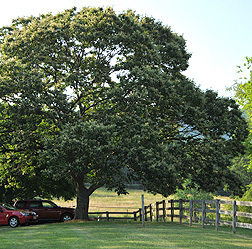 Form:A small tree with low branching and a rounded crown, reaching up to 40 feet tall.